Discover Jivesse Collagen Gold Mask. Each 24 karat gold leaf infused mask visibly lifts, tightens and firms the face, uplifting and rejuvenating skin with every use. 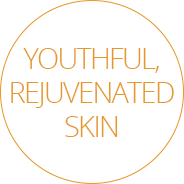 Skin appears smoother, more radiant and youthful allowing your flawless beauty to shine through. 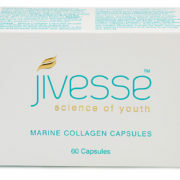 Soothe and hydrate your skin with a combination of Marine Collagen and Hyaluronic Acid for a healthy, youthful glow. With 24K Gold to help regenerate skin cells and speed up the renewal process, revealing supple skin and a luminous radiant complexion. The mask helps minimise fine lines and wrinkles, while improving skin's overall texture. Instantly feel the age resisting moisture sensation. 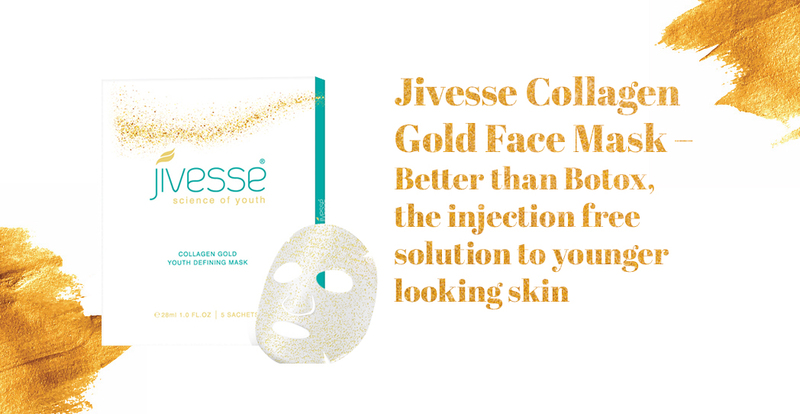 Suitable for all skin tones and types, the pure gold in Jivesse Gold Collagen Mask is a safer alternative to Botox. And once unmasked, the gold particles and collagen serum remain on the skin instantly reflecting light and penetrating the epidermis to protect against fine lines and discoloration. Jivesse Gold Collagen Mask leaves the skin feeling luxuriously smooth, supple, fresh and thoroughly hydrated. It adds a natural glow and a touch of luxury to a beauty regime so that anyone can unmask their inner beauty. PrepareFor optimum results, thoroughly deep cleanse and dry your face. Remove the face application mask from the sachet and carefully unfold. 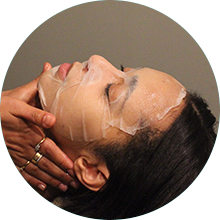 Apply Gently place the mask over your entire face, using your fingertips to smooth and fit closely in place. Relax for 15 minutes (or longer). RemoveRemove mask and discard. Any extra serum can be wiped off with a tissue or gently pressed into the skin. Acetyl Octapeptide-3 – clinically proven to reduce the depth of wrinkles on the face caused by the contraction of the muscles of facial expression. 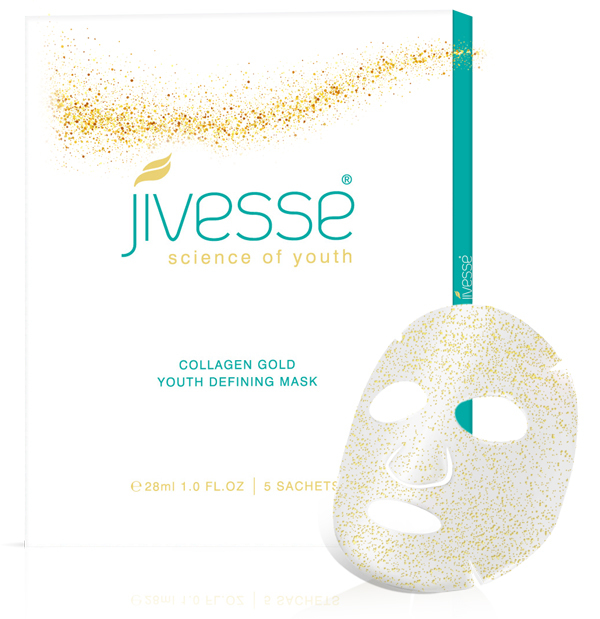 The Science Behind Jivesse Collagen Gold Face Mask – How Do They Work? Irrespective of skin tone, gold adds a natural glow and a touch of luxury to a beauty regime. Both Egyptians and Romans believed in the healing & rejuvenating power of gold on the skin and in ancient Chinese medicine, gold was used for youthful skin. History has now taught us how to indulge the skin and nourish it with the most luxurious ingredients and Jivesse Collagen Gold Masks are no exception. Each mask is infused with 24 karat gold leaf to lock moisture into the skin and keep it firm by maintaining collagen in the skin & inhibiting the breakdown of elastin. The gold will dissolve on your skin’s surface to instantly reflect light, and tiny particles will seep in to protect against fine lines and discoloration. Each Jivesse Collagen Gold Mask contains pure 24 karat gold leaf – they are not gold in colour. 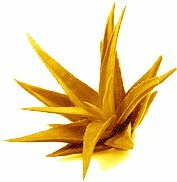 To be gold in colour, artificial colour would have to be added to the formulation. But Jivesse masks do not contain artificial ingredients making them luxuriously ideal for use even on the most sensitive of skin. A face mask that is gold in colour does not necessarily mean it is gold-infused. For true skin indulgence, these gold-infused masks will envelop skin and saturate it in all its golden glory, revealing a gorgeous, radiant complexion. Jivesse Collagen Gold Masks do not contain ‘nano gold’ – they contain pure 24 karat gold. 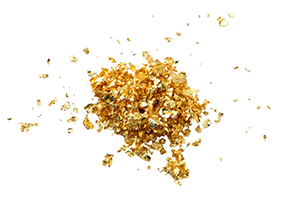 Nano Gold is created through a chemical process and is essentially tiny particles of gold that many believe are ineffective for skin’s health. Real gold that has not undergone any chemical processes is what has been shown to rejuvenate skins tone, complexion and youthfulness. Peptides are often referred to as the safer alternative to Botox Injections. The Jivesse Collagen Gold Mask contains two forms of Peptides. Firstly, Acetyl Octapeptide-3, this has been clinically proven to reduce the depth of wrinkles on the face caused by the contraction of the muscles of facial expression, especially in the forehead and around the eyes. It is a safer, more economical and milder alternative to Botulinum Toxin (Botox), and targets the same wrinkle-formation mechanism topically. 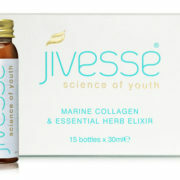 With each Jivesse Collagen Gold Mask you get all the benefits of Botox but without the frozen face expression. 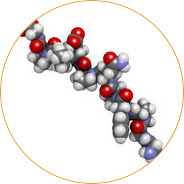 Secondly Palmitoyl Tripeptide-5 has the ability to penetrate not only the epidermis but deep into the dermis too where it stimulates collagen production and healthy tissue growth. It not only speeds up collagen synthesis in the skin, as it has the ability to communicate with healthy skin cells. Cell communication is important in terms of anti-ageing because when cells fail to communicate properly, collagen production dramatically slows down and causes premature ageing and wrinkles. Young-looking, firm skin isn’t possible without collagen, and as you age, the less collagen skin produces. Hyaluronic Acid plays a huge part in the body’s making of collagen which is why it is the main ingredient in Jivesse Collagen Gold Masks. Collagen is vital to the skin as it supports skin structure. Once our body’s collagen levels starts to decline, we can see an increase in the appearance of wrinkles and skin discoloration. Boosting collagen levels helps keep skin supple. 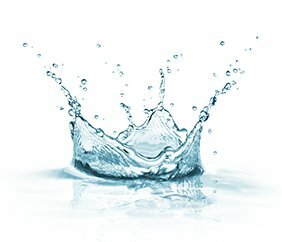 Hyaluronic acid helps boost collagen production, as well as helping retain skin moisture thus helping support its anti-ageing benefits to the skin. Skin with increased levels of collagen and hyaluronic acid have been shown to be suppler as well as resistant to fine lines and wrinkles. 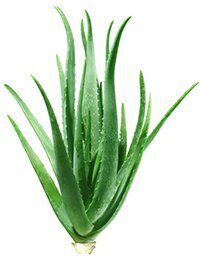 Aloe Barbadensis Leaf Juice (otherwise known as Aloe Vera) contains salcylic acid. This ingredient works on numerous levels for the skin. In terms of acne prone skin, it breaks up cells that stick together to block blackheads and whiteheads, thereby promoting clearer skin. Salicylic acid is also an anti-irritant that can soothe skin, reducing redness and working as an anti-inflammatory to calm irritated skin. 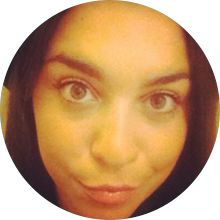 It has also been proven to have renewing properties, helping to firm and plump skin by promoting new cell turnover. Aloe Vera is a well-known skin moisturiser that enhances the appearance of dry or damaged skin by reducing flaking and restoring suppleness. Aloe Vera gives a large resource of Vitamin E which plays a part of the nutrients used to provide healthy skin. The vitamins in aloe consist of antioxidants A & C as well as E. These antioxidants help prevent premature ageing caused by free radical damage. 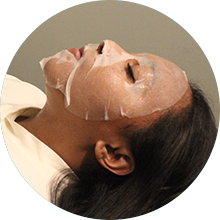 Carefully unfold the masks, and place evenly on your cleansed face.